WOUNDED: a Great War novel | " It's World War One and Snow doesn't know why he's there. Then he meets Cozette in a little French village and understands why. Ninety years later his son travels to the same village and is astonished by what he finds." 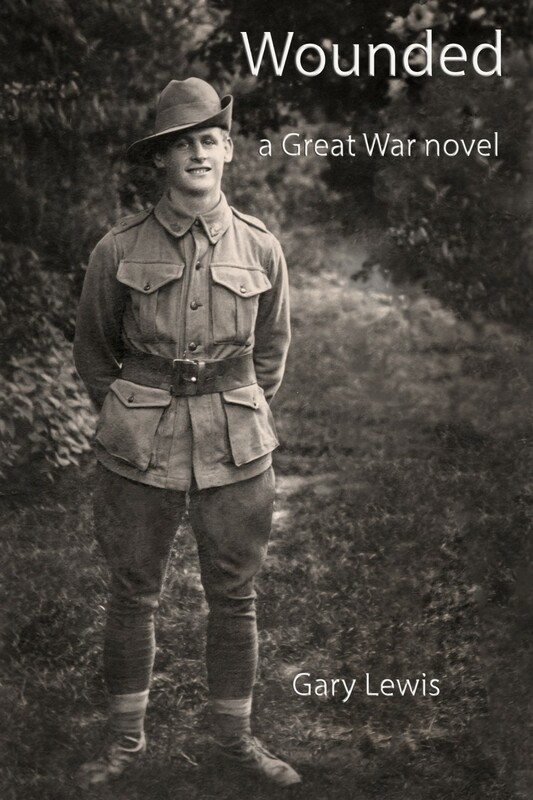 Hi, everyone out there in cyberspace, this is just to let you know I’ve written a novel drawn from my father’s experience as an infantryman in the Great War. Dad Served with the Australian Imperial Force (AIF) at Gallipoli, and in France and Belgium between 1915 and 1918. Wounded: a Great War novel relates to dad’s experience in France and Belgium in the year after April 1917. Although it’s fiction, the narrative is based upon carefully researched facts and stays faithful to those facts out of respect for the men and women who served and civilians in whose backyard the disastrous war was fought. Because I wanted to remember my dad as having had a happy youth, one not entirely stolen by the war, the main character in my book, Snow (my imagined father), is fortunate enough to meet a fine Flemish girl, the daughter of a household torn between a pro-German Flemish nationalist father and a fiercely patriotic French mother. The romance which develops keeps Snow wanting to go on living through the darkest days of the war. The second part of the book details how dad never really recovered from the war, permanently ‘wounded’ by it, psychologically, physically and spiritually, and what it was like for the author (also fictionalized) to be growing up in such a household. The book is a tribute to my dad and a reminder of the futility of war, lest we forget. My plan is to e-publish the book in the next few weeks and I’m really looking forward to that after nearly seven years’ of writing. If you’re interested, you might like to keep an eye out for Wounded: a Great War novel. Thanks for reading this and I hope you enjoy the book. p.s. the book has actually been published and is available now through most e-book distributors. Adam, thanks for your interest. I’m reliably informed the amended version of Wounded: a great War novel, free of all ‘infelicities; ( I hope) will be available through the e-distributors later this month. Sounds like a great novel – looking forward to reading it and finding out more about “Snow”. I am trying to find the published book. I actually live in France but originally from Perth. I have been doing plenty of research about WWI since living here. I guess its nice to find a connection between the two countries so far from home…. Hi Colin, thank you for your help in reading various drafts of the book as it evolved. If this reaches you and you’d like a hard copy version, just let me know and I’ll mail one off to you with love and appreciation.